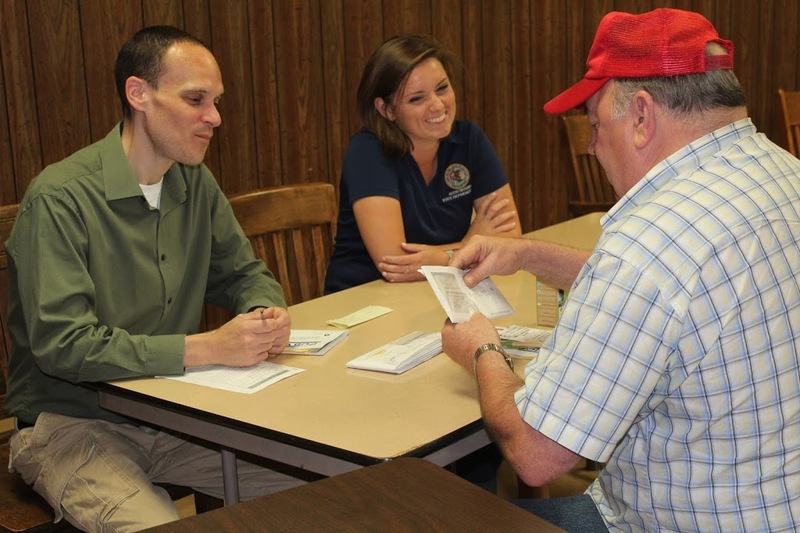 State Representative Avery Bourne joined the Citizens Utility Board in hosting a Utility Cost Savings Clinic this week. The informative event was held at the Girard Village Hall and offered individuals assistance in analyzing their telecom, gas, and electric bills to save money. Seated are (l-r) a CUB representative, Rep. Bourne, and attendee-Mr. Gary Bettis of Girard.